The Stone Temple Pilots are streaming a live performance of their 2018 single, “Roll Me Under”, as a preview to the May 18 broadcast of a concert special on Directv’s Audience Network. On hand to promote their self-titled album with new singer Jeff Gutt, the group will perform new and classic tracks on the program alongside an interview with host Ted Stryker. The group’s seventh studio record has reached No. 24 on the US Billboard 200 in the weeks since its March release. 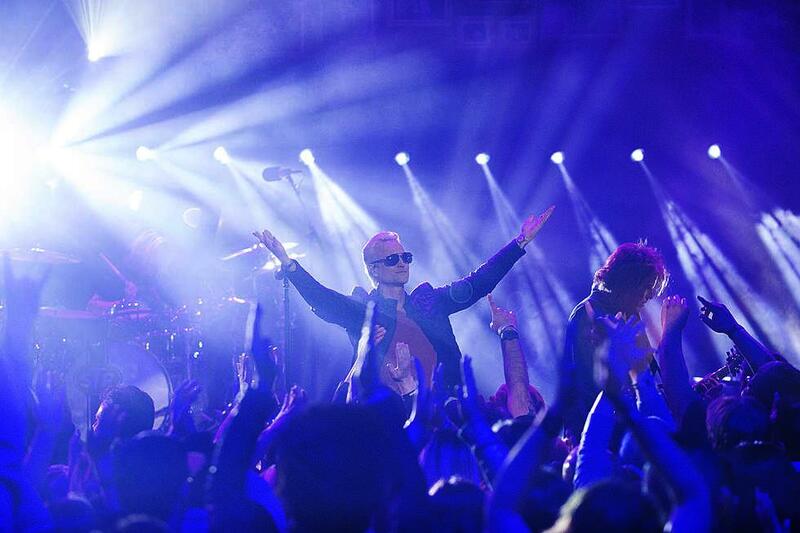 Stone Temple Pilots Live will premiere on Friday, May 18 at 9 p.m. PT/ET on the Audience network (DirecTV Ch. 239 or U-verse TV Ch. 1114 and via live streaming on the DirecTV and U-verse apps and DirecTV Now). Currently playing a series of spring US dates, the band will team up with The Cult and Bush for the “Revolution 3” tour; the 20-plus city run will see the three acts perform full sets while taking the stage in a different order on every stop of the revolving headline run, which will open in Nashville, TN on July 18. "It is with great honor and pleasure to know we will be spending our summer vacation on the road with the Gents from The Cult and Bush," says bassist Robert DeLeo. "Two great bands and more so, great friends. Also, to be there with you is even better. With love. See y'all soon."